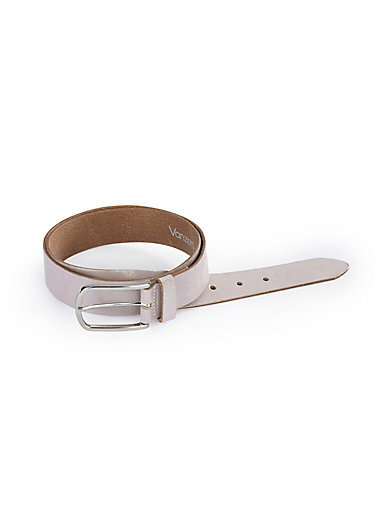 Belt by PETER HAHN made of textured nappa leather with metallic coating and a silver-coloured buckle. Width approx. 1.5ins.